Desco has just introduced its 2010 e-catalog at www.Desco.com. The new catalog showcases Desco's latest ESD control products, including Wrist Straps, Foot Grounders, Garments, Floor Maintenance, Mat Materials, Packaging, Monitors, Test Equipment, Ionizers, and more. It is simple to navigate and view product categories. Viewing alternate models is easy and allows you to find the best product for your needs. Individual catalog pages or the entire catalog can be saved to your computer or printed out. The catalog is fully linked to product web pages, technical drawings and bulletins. 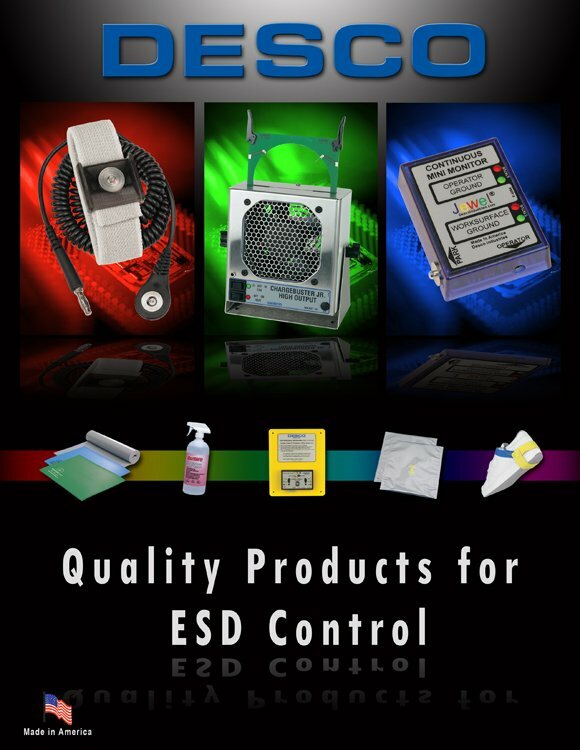 A new section on managing your ESD control program is included to help you focus on increased Quality, Productivity, and Customer Satisfaction. For additional information contact Desco at (909) 627-8178, fax (909) 627-7449 or visit our web site at www.Desco.com.